I just bought this desk at a thrift store hoping I could give it a little makeover. I tend to be drawn to boho, California, minimalist interiors. The color of the wood appeals to me, but I'm open to painting it. I was thinking about putting different handles on it, but that would be kind of tricky given that they're carved into the wood. I considered metal bin pulls (or whatever the dome shaped pulls are called). I wanted some second opinions from a creative but also practical source. Side note, I'm wondering if the chunky panel of wood on the left side could be taken off and replaced with something a more mid-century modern feel? Also thinking about if I could take out the bottom drawer and turn it into a cubby/box storage, but I'm not sure how I would do that? 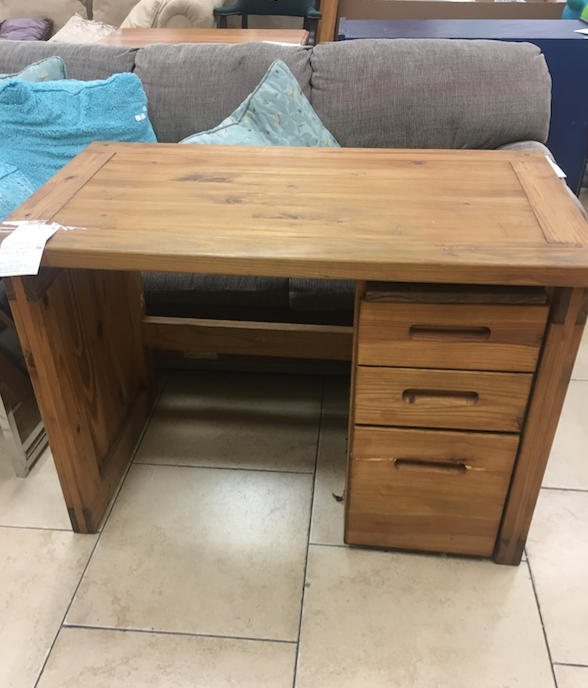 What a great find, the desk looks good and solid too! Of course, you can remove both the bottom drawer and side panel; not knowing exactly how it is constructed makes it a bit difficult on the removal process. If the side panel cannot be removed by removing a few screws a jig saw could cut it away, maybe you can use the wood from that to line the bottom of the removed drawer cubby. I think a fresh, finish will breathe new life into the piece and you may not want to remove anything. The panel on the side will not only hide all the unsightly tech cords that may drop down behind the desk, it may be load bearing? The bottom drawer looks generous and will hold lots of paper supplies and correspondence….just my opinion. The inverted pull on the drawer can be a great accent if a different color is painted within. Mid-century mod furnishing prized natural wood in multi stained finishes and accents of flat black as well. Your desk could look great with a new clean seal finish on the wood structure, with black in the drawer pulls and maybe black paint the outer side panel, or a different deeper stain color….the wood grain on your piece looks beautiful, highlighting that alone will revive the desk. I love that the desk has the pullout slab to write on…that could be black, or the desk top inside the wood frame could be black??? 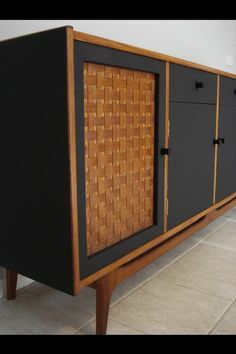 The above image with the woven panel, maybe you could mimic that with a woven place mat glue and then framed in on the side for a new mid-century mod feel? Home Depot has so many drawer pulls to choose from, but I love the inverted drawer pull detail, it just adds to minimalist, sleek feature...not fussy! 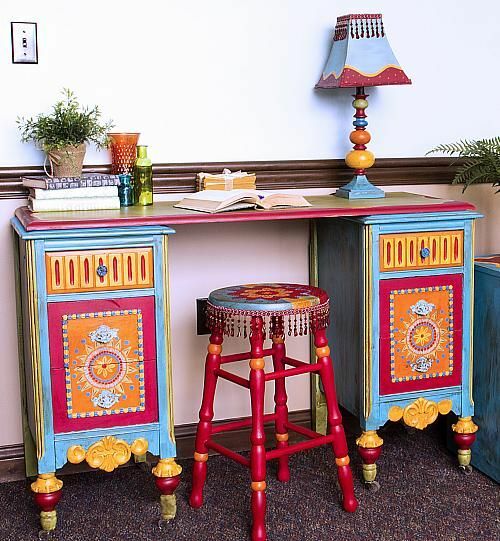 Another option is wonderful “boho” colors, you can have several sample-size colors mixed at your local Home Depot and just have fun with them, the possibilities are endless, you could decoupage the side panel with pages from old dictionaries or encyclopedias…they are so cheap now at thrift shops. Well I hope these ideas are a bit inspiring, you know one idea leads to another, I am sure that you will make it yours….is it heavy? I am excited for you! 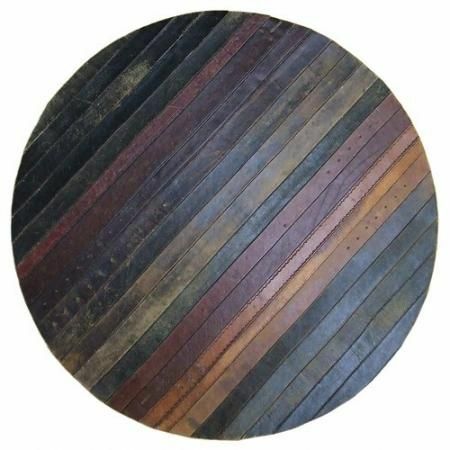 A great utilitarian find and the prospects of up-cycling into whatever you decide….will you send some finished images or even your process? We would love to see them!